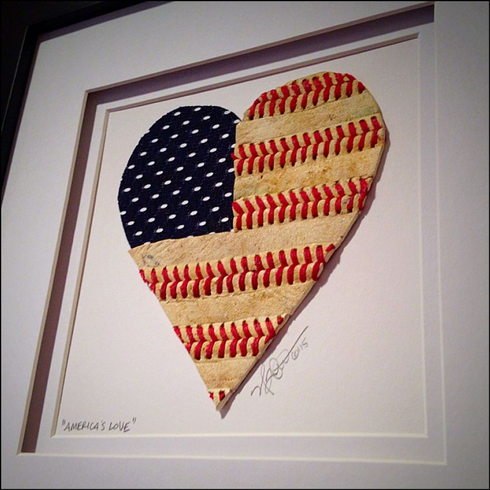 America's Love Baseball Heart USA Flag original artwork features a 4" x 4" heart which is made with actual baseballs and navy mesh baseball jersey material. All original artwork is hand-made, hand-signed and hand-numbered by the artist, Nathan Rueckert. Each baseball heart is mounted on a white mat board. White double mat inside 10" x 10" black frame. Framed with glass...not plexi-glass.